The word ‘Gremlin’ is claimed by Brew’s Dictionary of Phrase & Fable to have been 1st coined by a Squadron of Bomber Command serving on the North West Frontier in India in 1939. This Squadron began to have numerous difficulties with its Aircraft, the cause of which was duly placed on a Mischievous Fairy with an intimate knowledge of Aerial Sabotage, called the Gremlin. The word probably formed by analogy with Goblin. Of course, there are competing versions of how the word came about. The ‘Dictionary of Folklore’, for example, supposes that it may be related to an obsolete Old English transitive verb ‘Gremian’ meaning to Vex. 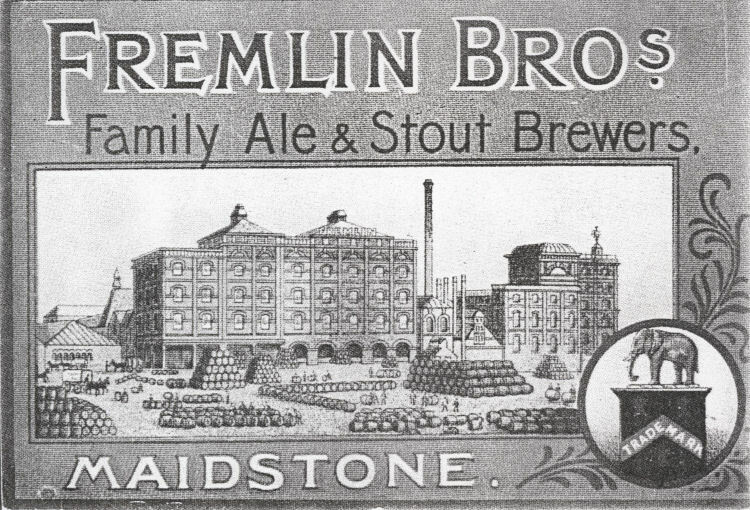 Yet another version involves the relation of the word to popular Maidstone Brewery of the time, called Fremlin’s. Their character can be described as mischievous, by which they resemble Hobgoblins. Usually, they confine themselves to causing Minor Annoyances and only occasionally Serious Trouble. The latter still with a sense of mischief and never out of Evil Malice. Typically, WW2 Gremlins would sit on an Aircraft’s Wing, fiddling with the Aileron or blowing dust into the Fuel Pipes. The Time & Place they would manifest themselves was predictable only by its unpredictability. (American Gremlins were sometimes called Yehudis because they are always Fiddling). During WW2, the existence of Gremlins was recognised by such Authorities as the British Air Ministry – where they were studied on the Ministry’s behalf by the well known Gremlorist, Pilot Officer Percy Prune, who wrote up their exploits in a service manual. This was the 1st official document to take Gremlins seriously and to propose ways to either placate them or distract them sufficiently to accomplish the mission without major mishap. Roald Dahl connected with Walt Disney on July 13, 1942. At the time Dahl was serving in Washington, DC as an Assistant Air Attaché with the RAF, to help create a kind of British Propaganda to keep America interested in, and sympathetic to, Britain’s War efforts. Dahl had written about his RAF Experiences, including a story called “Gremlin Lore” about the Mythical Creatures that “Sabotaged” RAF Planes. Since he was a Serving Officer, Dahl was required to submit everything he wrote for approval by British Information Services. The Officer who read it, Sidney Bernstein, passed it along to Walt Disney, who was looking for War–related Stories to develop as Animated Films. 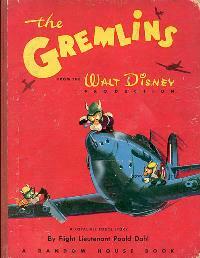 Dahl received a Telegram from Walt communicating that The Gremlins had possibilities, and Walt was interested in securing the Story for a Project. 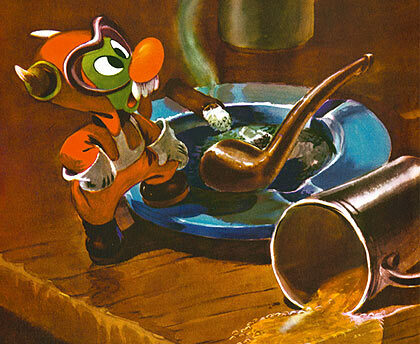 Following the initial Telegram, through Summer & Early Fall, Dahl & Disney corresponded with regularity to discuss turning the Story into a Film, featuring both Live Action & Animation, exchanging Ideas & Comments on Sketches of what a Gremlin should look like. It wasn’t until late in November of 1942 that Dahl was given Official Consent by the RAF to participate in the Development of the Picture, and granted Leave to visit the Burbank Studios for 10 days. W ith somewhat Mixed Fortune, the Book was to be the only lasting portion of the Project. Several factors led to the demise of the Film Projects, both the feature-length Live Action Animation concept and the idea of Animated Short Subjects. 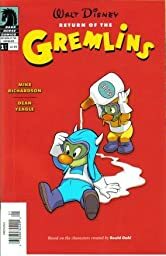 Because Walt was unable to secure the Exclusive Rights to the subject of “Gremlins,” other Studios were already distributing Gremlin-based Cartoons, and the window of opportunity to Capitalise on the ‘Characters’ Popularity was thereby shortened. Additionally, the RAF, while agreeing to Share Revenue with War Charities, also retained the Copyright to the Gremlins, and demanded Final Script Approval. These factors combined to limit the viability of Disney’s involvement in the proposed Projects. T his short-lived Partnership was far from a Loss, however. 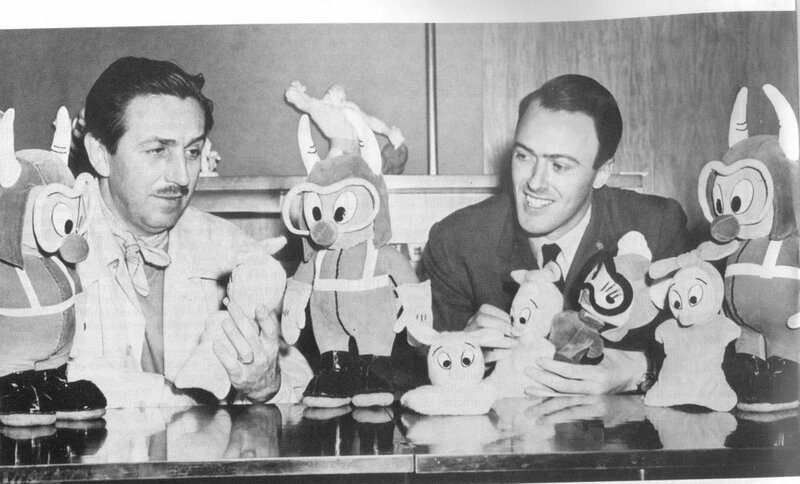 While Walt had already established his reputation as a Storyteller & Filmmaker, The Gremlins opened the Door for Roald Dahl and his Writing Career. In his short Story “Lucky Break,” Dahl writes, “Each day, I worked with the great Disney at his Studio in Burbank, roughing out the Story Line for the forthcoming Film. I had a Ball.” Now known as the imagination behind so many favourite Stories that enthral Children & Adults alike, it is fascinating to know that Dahl began with The Gremlins – and guidance from Walt Disney. The history and background of the Gremlins can be considered similar to that of other Fairy Races or “Little People”. The average person has little to fear from Gremlins or Gremlin Effect if they follow ordinary common sense and take care in dealing with Machinery that all necessary precautions have been attended to. It is believed that Gremlins can sense, and are attracted by signs of Arrogance or Overconfidence, and these should be avoided if at all possible. In addition, it should not be overlooked that Gremlins can be helpful as well. It may be that an embarrassing & inconvenient Gremlin-inspired ‘accident’ may prevent a Catastrophic one later. Gremlins: Mythical Creatures that lived on certain Aircraft and caused it to go “U/s” (useless) at the most inconvenient times and then could not be located as the original source of the problem. Dahl’s exploits as a member of the secret British Security Co-ordination (BSC Organisation) are explored in detail in Conant’s Book which concentrates on Dahl’s Secret Career as a British Spy in Franklin Delano Roosevelt’s Washington. These adventures are also charted in Donald Sturrock’s Biography, which places greater emphasis on Dahl’s ability to charm himself into the most powerful circles in Washington. Here his close friendship with Vice-President Henry Wallace stands out, though in time Dahl would help ensure that the Russian Speaking left-leaning, idealistic, Wallace was dropped from the Democratic Ticket in 1944. Had he remained as Vice-President, he and not Harry S Truman would have replaced Roosevelt later that year, and perhaps the Course of 20th century History might have been very different? Dahl’s Espionage Work only encouraged his pre-existing tendency to spin Stories. It was now part of his job, and one he clearly relished. His enthusiasm waned somewhat as the end of the War neared. His role in the downfall of his Tennis Partner, Wallace, played a part in this, while Sturrock suggests that Dahl may have become uncomfortable with some of the less glamorous aspects of his Government Service. It was all well and good going to Bed for one’s Country but other more Sinister aspects of the Secret Agent’s career were possibly less attractive. These included his part-Commission to write the Official History of BSC in the immediate aftermath of the War. History writing was not to Dahl’s taste, and neither was the remote Canadian Outpost where he was supposed to be working. As soon as he could, in 1946 Dahl Resigned his Commission and returned to Civilian Life. His 1st Short Story Collection Over to You: Ten Stories of Flyers & Flying was Published in the same year, to positive reviews. This only encouraged his determination to continue Writing upon his return to England. The later Stephen Spielberg Films Gremlins and its follow up Gremlins 2 carefully did not claim to have been inspired by Dahl’s original efforts but there is much in common as regards the Giszmo’s Mischief, Mayhem & Sabotage. In 1942, the USAAF was faced with a severe shortage of Pilots, and Leaders gambled on an Experimental Program to help fill the void: Train Women to fly Military Aircraft so Male Pilots could be released for Combat Duty Overseas. The “Fifinella” Badge (aka Fifi) was the Badge of the Army Air Force Flying Training Detachment worn by the Women Airforce Service Pilots during WW2. This Official Mascot was designed by Walt Disney, who kept the Copyright. Fifi went to War and was worn in the form of both Leather & Cloth Badges. In 1944, during the Graduation Ceremony for the last WASP Training Class, the Commanding General of the USAAF, Henry “Hap” Arnold, said that when the Program started, he wasn’t sure “whether a slip of a girl could fight the controls of a B-17 in heavy weather.” – “Now in 1944, it is on the Record that Women can Fly as well as Men,” Arnold said. A few more than 1,100 young Women, all Civilian Volunteers, flew almost every type of Military Aircraft – including the B-26 & B-29 Bombers – as part of the WASP program. They ferried new Planes long distances from Factories to Military Bases and Departure Points across the Country. They Tested newly overhauled Planes. They also towed targets to give Ground & Air Gunners training shooting – with Live Ammunition. The WASP expected to become part of the Military during their Service. Sadly despite ‘Hap’ Arnolds praise, the program was cancelled after just 2 years.